Owning a Pool: Is it Worth it? There are many benefits owning a swimming pool. Buyers may see them as an opportunity to make long-lasting memories or a place to throw great summer parties. 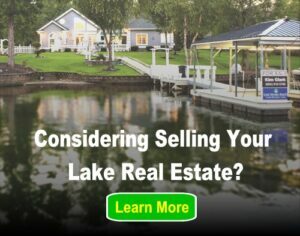 Pools can even be a great alternative for when going out on the lake isn’t ideal. For some, however, pools bring to mind bring various safety and maintenance obligations. While there are many pros to owning a pool, it’s important to acknowledge the cons. So let’s dive in. Owning a pool: is it worth it, or not? When it comes to owning a pool, child safety is at the forefront of every parent’s mind. Pools that are easily accessible, like uncovered underground pools, present a potentially fatal hazard. If you’re buying a home with a swimming pool, or are thinking of installing one at your current residence, consider building a fence around it. Fence posts should be buried and reinforced with concrete for maximum stability. Younger children, particularly those who cannot swim such as toddlers and crawling babies, are at the highest risk for accidental drowning. To prevent unsupervised access, equip fence your gate with a child-proof latch. In life, accidents do happen. Babysitters get distracted, moms run to the bathroom and sometimes children are just sneaky. By installing a fence around your pool, you decrease the chances of something happening to someone you love. Pools are expensive, and sometimes homeowners are unable to earn back the money put into them when their home sells. Under the right circumstances, a swimming pool can add as much as 7 percent to your home’s value; however, this is more the exception than the rule. Installation alone can cost more than $30,000. After installation, pool owners must factor in upkeep, seasonal filling/draining and electricity used by the pump and heater. These reoccurring costs that could potentially add thousands of dollars to your expenses annually. Additionally, many states require increased liability coverage on homeowner’s insurance when a pool is involved, which can get pretty costly. 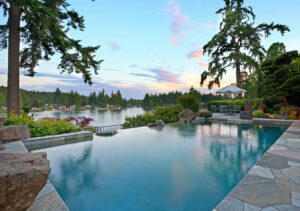 According to Dave Ramsey, many buyers see swimming pools not as a luxury but a liability. Instead of thinking of a pool as an investment in your home, Ramsey suggests considering it an investment in your lifestyle. In order to maintain a pool, chemicals must be added to its water. An average swimming pool should contain sanitizers, oxidizers, water balancers (for pH) and other specialty chemicals like filter cleaners and stain removers. If not properly handled, these chemicals could cause a variety of medical issues. Too many, or incorrect amounts of, chemicals can cause poisoning and burns to swimmers’ eyes and skin. Additionally, mishandling concentrated chlorine at above-average amounts can even cause death. pH levels affect algae and bacteria growth which can also lead to illness. Of course, pools are not all bad. Their biggest benefit is the joy they can bring to you and your loved ones. But before adding one to your back yard, consider these factors to determine if owning a pool is worth it to you, or not. For more stories on personal swimming pools give our “Brush up on Pool Safety,” and “Long-Term Pool Maintenance” articles a read!